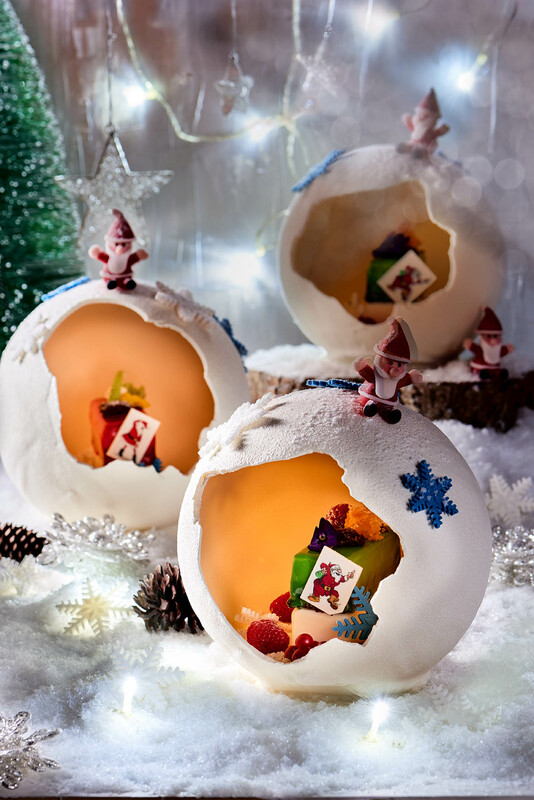 DUBAI, United Arab Emirates (November 2017) – After the roaring success of the inaugural Cirque de Cuisine in May 2017, Dubai’s original evening dine around event is set to return with a Winter Wonderland theme for the festive season. Taking place in The Avenues at Atlantis, The Palm on Thursday 7th December, early bird tickets for the all you can eat and drink concept start at AED 495 and will include four hours of festive fun including free flowing bubbles from 7pm until 11pm, with a cash bar after party being hosted in The Avenues until 3am. The premise of Cirque de Cuisine: The Festive Edition allows diners to wander from restaurant to restaurant, enjoying signature dishes, live cooking stations, extravagant buffets, delicious drinks and live entertainment, all with a festive twist. The nine signature restaurants are all in a two-minute proximity of one another and with tables and seating in abundance and all restaurants only open for Cirque De Cuisine ticketholders, guests will be able to roam and sit freely in any of the participating restaurants moving from one to the next at leisure. In keeping with the festive theme, The Avenues will be transformed into a winter wonderland, featuring circus entertainment, candy cane stilt walkers and winter acrobats roaming the walkways. Upon arrival, guests will be welcomed by a choir singing Christmas carols under a giant wreath arch constructed at the entrance and decorated with festive ribbons and bells. As guests enter the event, Christmas trees, snow-capped old-fashioned street lamps, fairy lights and life-sized nutcrackers will line The Avenues, leading to a huge snow globe where guests can snap that perfect festive selfie from within. Additionally, Seafire will host its own Jack Daniels inspired tree made from barrels and The Lost Chambers Aquarium will feature a magical Christmas Grotto, where guests can fill out a festive themed post card and give it to Santa and his elves to send to a loved one, wherever they may be in the world. Additionally, Bread Street Kitchen & Bar’s terrace will transform into a Christmas market complete with snow, picnic tables and festive themed games. Alcoholic and non-alcoholic beverages will be available at seven different bars throughout the venues including a spectacular ‘feature bar’ located in the centre of The Avenues, serving unlimited bubbly, house beverages and the festive classic, mulled grape throughout the evening. Those looking to continue the night will be treated to a festive after party from 11pm to 3am in The Avenues, where partygoers can continue to wander between the bars located in Nobu, YUAN, Bread Street Kitchen and Seafire whilst listening to the resident DJs blast some Christmas classics. Guests who wander into Dubai’s best steakhouse will be thrilled with live cooking stations serving Festive Roast Turkey and an Atlantis Beef Carvery, as well as Kelly Oysters Shooter and a Seafood Martini Bar. The celebrated Savoury Short Rib Donuts and Seafire Rossini will be available as well as numerous signature dishes from the a la carte menu. Entertainment will include a five-piece jazz band, providing an upbeat festive soundtrack all evening long. Guests who enter Gordon Ramsay’s famous restaurant can feast on a variety of British favourites with a festive twist including the signature Mini Turkey Wellington, Truffle Mac & Cheese Fritters with Chestnuts and the Veal & Fennel Sausage Rolls. Additional menu items will include Roasted Veal Carpaccio, Mulled Wine Cured Scottish Salmon as well as a scrumptious cheese and bread section. Entertainment will include a British inspired Christmas soundtrack from Bread Street Kitchen’s resident Busker. Fans of Nobu will be able to savour the restaurant’s renowned sushi via the roaming trays in the venue whilst selecting a selection of Nobu signatures including the signature Nobu Tacos, Yellow Tail Sushi Jalapeno, Black Cod Butter Lettuce and succulent Beef Tenderloin Anticucho. A Ceviche and Mochi Bar will be available as well with a selection of Sakes. The evening will feature Nobu’s resident DJ accompanied by an electronic violinist. Offering a traditional taste of Italy, guests at Ronda Locatelli can feast on delights including Truffle Risotto, Baby Spinach Salad, Homemade Ravioli and Caserecce Pasta with Duck Ragu. 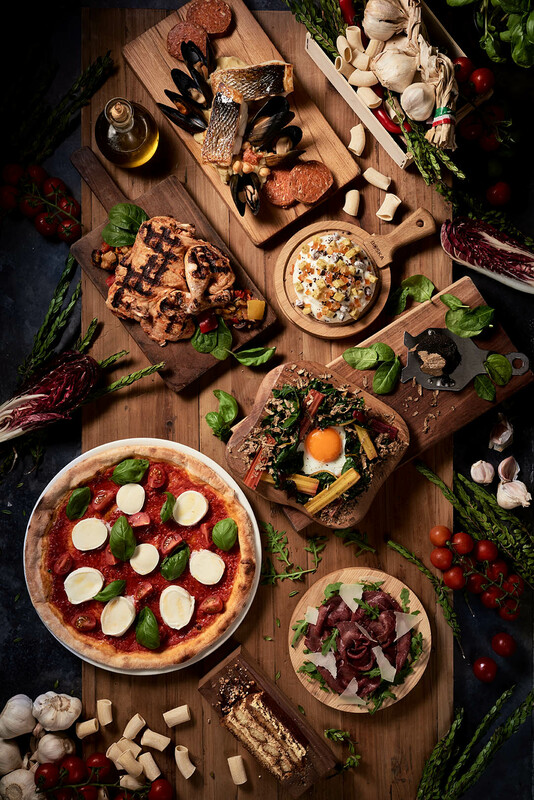 A selection of Ronda Locatelli’s signature pizzas will be readily available from the wood pizza oven. The evening’s entertainment will feature an Italian duo playing the best in Italian festive classics. New to Cirque de Cuisine, diners at YUAN can choose from signature dishes including Crispy Seabass with Sanbei Sauce, the Steamed Chinese Mantou with Barbecued Chicken and Peking Duck with Homemade Pancakes. There will also be live cooking stations in the restaurant serving Yuan BBQ Crispy Pork and Steamed Chicken Dumpling in Beijing Style. The evening will feature YUAN’s resident DJ accompanied by a percussionist. Guests will have the unique opportunity to dine under the sea with a selection of opulent desserts by Ossiano’s Chef de Cuisine, Gregoire Berger and the creative in-house pastry team. In addition, there will be numerous live cooking stations serving Caramelized “Smore” Marshmallows, French Croissant Toast and the incredible Smoked Nitro Popcorn. Those looking to really satisfy their sweet tooth will be thrilled with the selection at the Freaky Shake Paradise as well as the designated Atlantis Chocolate Praline and Roasted Chestnuts station. For guests after something a little quick and easy, these casual dining outlets will offer a range of delicious Dim Sums, Dumplings, Miniature Sliders as well as Mini Shawarma Wraps. Tickets are now available for sale at www.platinumlist.net for AED 535 per adult and AED 335 for juniors aged 12 and above. Early bird tickets are priced at AED 495 for adults and AED 295 for juniors. Tickets will also be available for purchase at the door, on the night, for AED 595 per adult and AED 395 per child. For more information, call +971 4 426 2626.